I'm still feeling my musical references and the title of this week's post is from the J-Lo song; "Jenny from the block". I've been feeling a little tested recently, concerning my complicated relationship with food and money. I know what I'm supposed to do. I've read the books, been to the seminars and been on the receiving end of a fair few lectures about how to handle my relationship with both of these things. Somehow though, in spite of my best intentions, I still end up ignoring all the good advice and circling back to the beginning. Very frustrating I must say! These are the 2 areas that trouble me the most. For you, it may be other things. This post is for anyone who is at best puzzled and at worst frustrated by their self defeating behaviours and wondering what's going on. You've got to expose that sucker to the light! 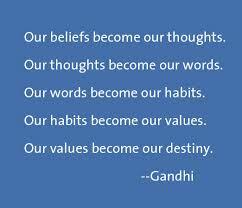 A lot of us, are operating from our own beliefs, our parents' beliefs, our friends' beliefs and society's beliefs. That's a lot of baggage. Worst of all, the vast majority of them are unhelpful to us and only serve to keep us running around like headless chickens! Monsters live in the dark. Expose them to the light and they begin to look far less scary. It works the same way with our beliefs. Once we start really looking at them, we begin to see them for what they really are and have the option to come up with ways to deal with them. 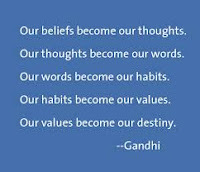 Once we change our beliefs, our actions change. If we are serious about changing our lives, we have to think about what we are thinking about and make the necessary changes. Depending on what we are dealing with, we could do the work on our own. 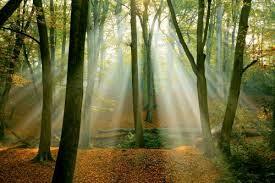 However, some beliefs are so entrenched that we need help to surface them and to tackle them. Exposing things to light is a powerful thing- just ask Dracula! Whether you enlist the help of a friend or a counsellor or a coach, the key thing is to get the help you need. Finally, buckle up for the ride. It will take time and there will be setbacks along the way. The key thing to remember is that these beliefs may have been there for a long time and it's always going to be easiest to take the path of least resistance. The question is how badly do you want to change? If it's less painful to maintain the status quo, than to change, then that's what you're likely to do. You will find a way to live with the situation, no matter how dysfunctional it is. However, once change becomes the less painful option, that's usually the starting point for most people making the changes they need to. So I've shared mine and now you get to share yours. What's been challenging/frustrating/perplexing you and you don't seem to be able to get a hold of it? 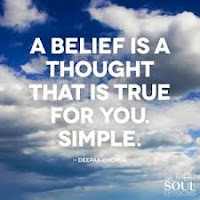 Would you say it's a belief or something else? Have you successfully managed to overcome a negative, limiting belief? Either way, I'd love to hear from you. You can call on +234 706 335 0864 or reach me through the website. Be sure to leave a comment below and let's keep the conversation going.